Full Card for Lion’s Break: Project 1 Released! 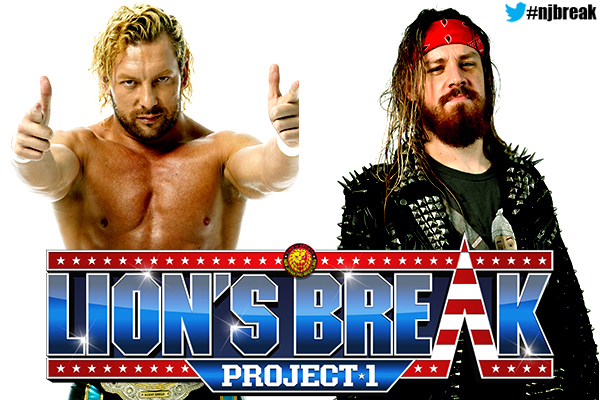 The full card for both days of Lion’s Break: Project 1 has been released! LA Dojo Young Lions, trained by Katsuyori Shibata, will take on New Japan’s star wrestlers at Lion’s Break: Project 1 in Anaheim, CA. Two of the Young Lions on the card, Clark Connors and Alex Coughlin, made their debut at Fighting Spirit Unleashed on September 30, 2018, during a dark match. At Lion’s Break: Project 1 they will be joined by the third LA Dojo Young Lion, Karl Fredericks. Will Shibata’s trainees prove up to the task of taking on the New Japan roster? The rest of the card is filled with New Japan favorites, and will feature what is sure to be a hard-hitting match between Hirooki Goto and Jeff Cobb. And American fans won’t want to miss Sunday’s main event, where David Finlay takes on Kenny Omega in singles competition. Lion’s Break: Project 1 takes place within CharaExpo USA 2018 at the Anaheim Convention Center on November 10 and November 11.